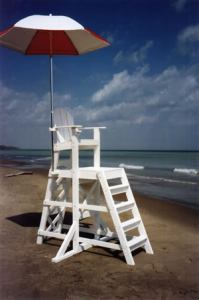 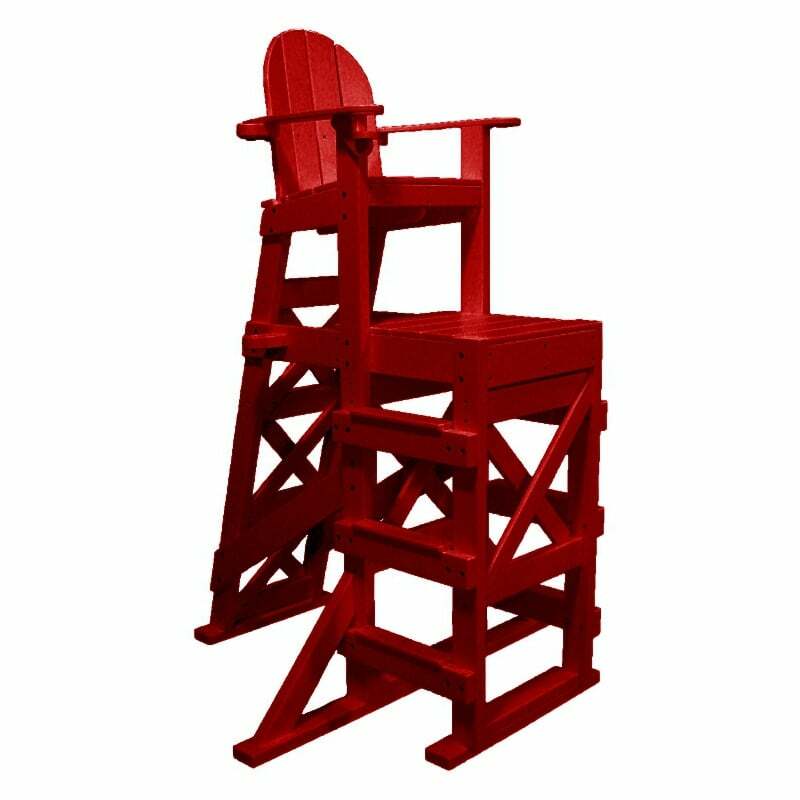 Our Recycled Plastic Tall Lifeguard Chair is made of weather resistant, low maintenance recycled plastic. 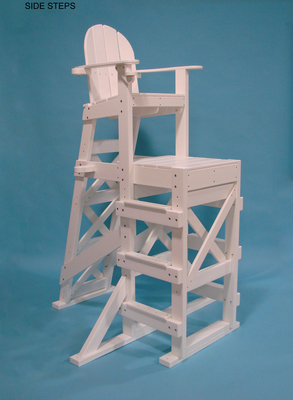 This lifeguard chair is available with front or side ladder steps, must be delivered by truck. Includes built-in drink and umbrella holder. 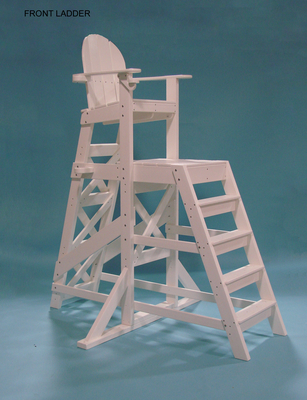 Available with front ladder steps or side ladder steps. Must be delivered by truck. Front ladder chair measures 72"L x 59"W x 85"H. Seat height 64". 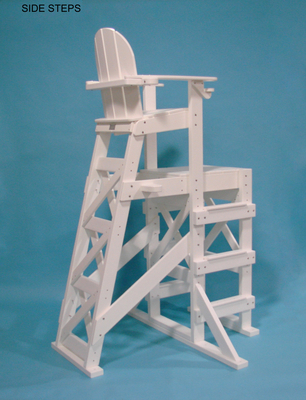 Platform height 47". Weight 200 lbs.